The Proprietor of FC Ifeanyi Ubah, Dr. Patrick Ifeanyi Ubah, has been elected the Chairman of the Anambra State Football Association (ASFA). The election held yesterday in Awka. Chief Ubah, a prominent sports financier, business entrepreneur and newspaper publisher, received the overwhelming support of other prominent members of the state FA to sweep into office as the Board Chairman – in an election witnessed by prominent sports personalities like former National Head Coach, Ambassador Fanny Amun. 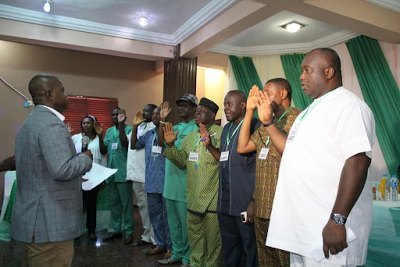 Dr. Ubah was elected with 24 votes to zero against Olisa Aniuno at a 26-member delegate congress in Awka. Also present at the election were Mr. E.C. 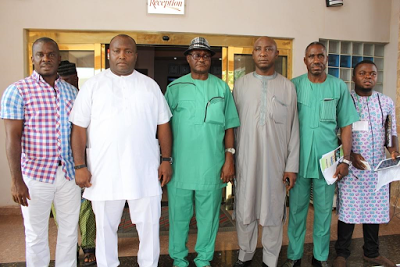 Chukwuemeka (NFF Electoral Committee Chairman); Sir Chidi Nwafor Okenwa (NFF Appeals Committee Chairman); Alhaji Ibrahim Gusau (NFF President’s Representative and the Chairman of Chairmen’s Forum); and Sen. Obinna Ogba, former NFF Executive Board member and the Chairman, Senate Committee on Sports. Others present were delegates, members of the congress, guests and members of the print and electronic media. The former Vice Chairman of the board, Mr. Jude Obikwelu, was returned to his position with 24 votes to zero against his opponent, Obiefuna Akonam. The Chairman of the normalization committee, Ephraim Chukwuemeka had on April 28 at a stakeholders' meeting announced that the election into the ASFA would hold in May. Speaking at the occasion, the President of the Nigerian Football Federation, through his representative, Alhaji Ibrahim Gusau, congratulated the Anambra FA for the successful election and called for unity of purpose amongst the members. In his acceptance speech, Ubah said he was accepting the post with a deep sense of responsibility and commitment to the development of the game of football in Anambra State in particular, and Nigeria as a whole. He pledged to serve with genuine commitment, integrity, honesty and transparency. He said he would turn around football in Anambra and Nigeria and make it a big industry and a major tourist attraction. “It is a new dawn for football development in Anambra State. I urge every stakeholder to eschew rancour and collaborate with this new board as we aim to foster the massive development of football in Anambra State. I will deploy my vast network and goodwill to attract private investment as well as improved government participation in football in the state. It is also to use this opportunity to make sports, particularly football a tourist attraction to the state. The football industry will not only be an entertainment outfit for our people but will also afford them an opportunity to fraternize, unite and strengthen peaceful co-existence amongst all communities and associations irrespective of their religious, cultural, professional and geographical divide. We will also make football a revenue spinner for Anambra state and Nigeria. 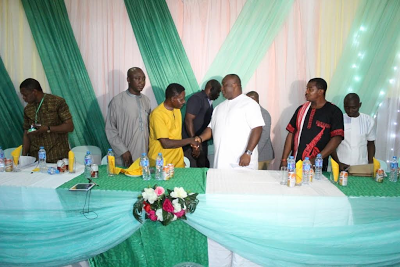 “I intend to use this opportunity as Chairman of Anambra State Football Association to provide employment for our teeming unemployed youths in our proposed Football Academy," he said. · Giving prominence to female football competitions and programmes. “Indeed, there is no victor and no vanquished in this election. I enjoin everyone to bring whatever he or she has to the table as we start this new journey towards achieving greatness. It is important that we all key into this new football revolution that is coming to Anambra state and every one of us will be happy to part of this success story. “By the powers conferred as the State FA Chairman, I and the Board hereby declare that every suspension and sanction imposed on any player, coach, referee and any other person during the controversies arising from the State FA election is hereby lifted with immediate effect. Such persons are hereby reabsorbed and advised to go back to his or her association as a free person. We shall forthwith inform the NFF of this decision. Anambra North: Joe Amene; Emeka Raphael and Udu Kingsley (Members). Anambra Central: Dr. C.C. Amuze; Sir Bebeto Anthony Udennaka; (Members). Barrister J.B.C. Obikwelu (Vice Chairman). 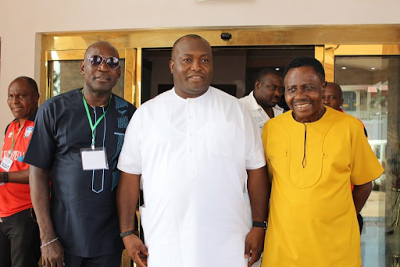 Anambra South: Dr. Patrick Ifeanyi Ubah (Chairman); Sir Albert Chinwe, Mrs Ada Yotchi Edward (Members).